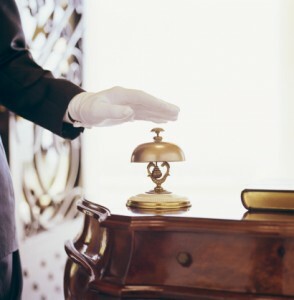 The hospitality industry is one that is constantly growing and changing, but will never go away. Establishments like restaurants, coffee shops and hotels all need to get the word out about the services they offer and what sets them apart from the crowd. Because of this, there are many jobs out there for skilled hospitality industry writers. Freelance hospitality bloggers can nearly always find work that allows them to express themselves about the industry.. Learn what it takes to write about the industry and what your clients are likely looking for as you work on these projects. The hospitality industry is based on making personal connections with customers. Whether you are talking about a hotel, bar, restaurant or other establishment, the goal is to make the customer feel like they are important. Writing for the industry has the same goal, to connect with the potential customers and turn them into actual customers. This means that you are generally writing with a personal touch. When you write for the hospitality industry, you may have to handle several different styles of work. Articles are often larger, broader pieces. With these, you may take on a list format or a more traditional article. Articles are not normally created directly as marketing tools, but instead wind up taking a softer-sell approach. Blog posts are usually more condensed pieces. They are quite often posted on the website of a hospitality industry company and give readers a glimpse in the business or industry itself. Sometimes, but not always, these pieces are SEO-based, so there may be keyword requirements. Other documents you may find yourself working on include product descriptions, website content and press releases. Writing about the hospitality industry is a great challenge, but rewarding and enjoyable at the same time. If you enjoy traveling and discovering new places and things, this could be your dream writing job. Your biggest goal is to make readers feel enthusiastic about a place that they have never been and services they have not yet received; your words can take them there. Tracy S is a freelance writer available on WriterAccess, a marketplace where clients and expert writers connect for assignments.